A fascinating game in terms of tactics here, because Barcelona were awful in the first half. With Zlatan Ibrahimovic suspended and Thierry Henry on the bench, the Messi-Bojan-Pedro trio looked too lightweight and one-dimensional to cause Valencia’s backline significant problems. It took a dramatic half-time change from Guardiola to turn things around. Barcelona started with their standard 4-3-3, with Busquets sitting in front of the defence, Iniesta with license to go forward and move to the left flank, and Messi upfront in something vaguely approaching a false nine role, although he played high up the pitch. Valencia also started with their usual system, a 4-2-3-1 that became more like a 4-4-1-1 when not in possession, such were the demands of their wide players to track back and cover in wide areas. But Barcelona struggled hugely in the first half. Bojan simply couldn’t beat Miguel, Messi looked lively but was receiving the ball under too much pressure from the centre-backs, and Iniesta’s runs from deep were covered easily by Valencia’s two holding midfielders. Pep Guardiola switched things around at half-time, bringing Henry on for Bojan. Considering Henry’s usual position at Barcelona is in the outside-left role filled by Bojan in the first half, it could have been a straight swap. 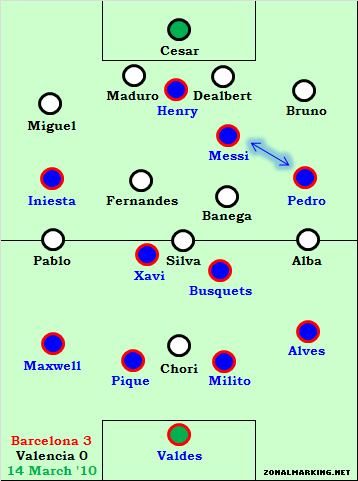 But instead, Guardiola switched to a loose 4-4-2 / 4-2-4 / 4-2-3-1 shape that increasingly appears to be Barcelona’s plan B.
Henry’s presence meant Barcelona had more of a focal point for their attack. Henry is far from a classic hold-up player, but today he was happy to receive the ball with his back to goal, and lay it off for the three other onrushing attacking players. Henry was, of course, an immediate threat to the Valencia centre-backs, and the main beneficiary of this was Messi. When Messi was on his own upfront, he was their only problem. With Henry on as more of a physical presence and a more traditional striker, he was their most immediate concern. But the most immediate concern is not the same as the main danger – and this was where Messi came in. With a slightly freer role, he was able to come deep and pick up the ball, before running at the defence to devastating effect. He tended to switch with Pedro between playing on the right and playing in a more traditional number 10 role, but was equally as effective in either position. Another effect of the switch in formation was that it drew Valencia’s two holding players slightly further up the pitch. In the first half their job was to battle against Iniesta and Xavi, who could go and create in relatively attacking roles with the insurance of Busquets behind them. With Iniesta pushed out wide, it meant the second half saw a Barcelona central midfield of Xavi and Busquets, who necessarily sat deeper (without an insurance player behind, and with four attacking players ahead of them). So Valencia’s midfielders were forced to do battle slightly further from their own defence, opening up a little bit more space for Messi to work in. The two wide players in the second half – Iniesta and Pedro – could play high up against the Valencia full-backs, with Alves and Maxwell also pushing up to force Valencia’s wingers into defensive roles. Granted, the game was essentially won by Lionel Messi’s sublime hattrick, and there is an argument for saying that it was he alone who won it – it was nothing to do with tactics, and no other combination of players in that change of system would have yielded the same results. 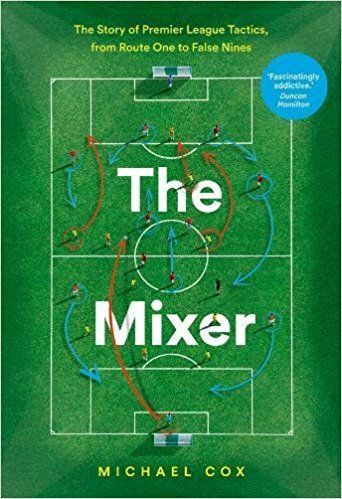 But this misses the point – football management is about finding a system to get the best our of your players, and this was precisely what Guardiola did with his half-time switch. Valencia went down to ten men in the second half, with the score at 1-0, with Maduro sent-off for a trip on Messi. Unai Emery sent out his side in a way that effectively shut out Barcelona in the first half, but failed to respond to Barcelona’s change, and Valencia were comprehensively outplayed as a result. Withdrawing Chori for the 6′8 Nikola Zigic was a curious move, since Barcelona were playing an extremely high line and were prone to balls over the top, but without David Villa, Valencia were always going to be slightly toothless upfront. This was a game that Guardola won, rather than a game which Emery lost. The long-term outcome might be the rebirth of Thierry Henry. Make no mistake – he has been terrible this season, and was on the bench for this game (even with Ibrahimovic out) purely because his form has been so poor. But he has often spoke of the idea that, as he loses his pace, his future might be in a deep forward role, setting up quicker, more dynamic players in something approaching the role his teammate Dennis Bergkamp played at Arsenal. Today seemed to suggest this as a viable option – certainly as a plan B.
Roberticus makes a great point in the comments section, comparing the second-half shape of Barcelona to Brazil’s 1970 World Cup-winning side. Also mentioned by numerous posters is the fact that Guardiola was serving a touchline ban for this game, and therefore credit should go to Tito Vilanova, his assistant, for putting the system in place. Apologies for the oversight. Just a small correction: Maduro was the player sent off, not Dealbert. Dude, I don’t know how you analyze these games so quickly, but you do a great job. This is 100X better than a match report. Thanks very much – that’s great to hear. Big matches are so widely viewed these days that I think the traditional match report may be less popular in future years. I found this site last week and was really intrigued by the in depth, analytical approach you guys here take to the beautiful game. I have to say, I’m becoming rather addicted. This was a really great writeup with a level of analysis that’s hard to find anywhere else on the web. Fantastic job and I look forward to reading many, many more of these in the future. P.S.- I’m a big Roma/Italy fan, so if you could write about either team in the future I’d love it. I saw Roma made two entries in your teams of the decade, and I loved reading every word. Thanks very much Julian (and those who have agreed with his sentiments). Roma have been a joy to watch over the past decade, the 3-4-1-2 that won the Scudetto in 2001 was a personal favourite of mine. They’ve always had innovate tactics and technically brilliant players. I hope Totti can collect another major title before he retires. Great match review, and so quick to. It was great to see Henry out on the pitch and make such an improved impact. Count me in on Julian’s statement as well–since reading Jonathan Wilson’s book I’ve been looking for a site exactly like this. Well done. Sadly my recording of the game didn’t work would have loved to have watched it. So sadly I can’t comment on what went wrong, sorry! 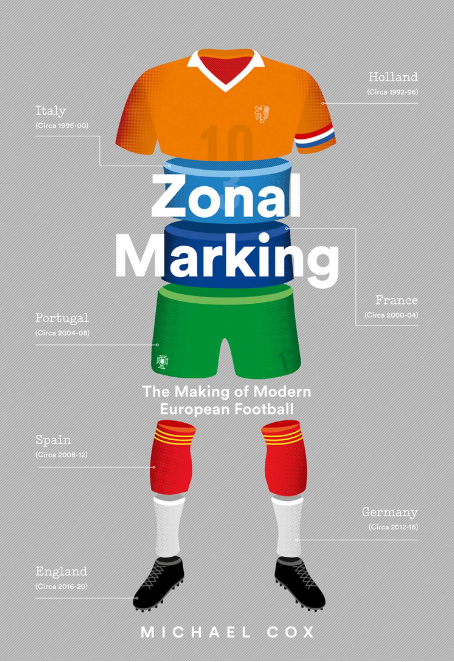 I have to concur with the posters above – great analysis and a fantastic site. I’d love to, but I’m afraid my knowledge of the Turkish league is very low, and I’m not able to view the matches very easily! Thanks very much for your compliments. This 4-2-4 variant has been commonly used by Guardiola. I call it 4-2-4 and not 4-2-3-1 because Messi and Henry play almost on the same line along with Pedro. Iniesta is the only one who plays deeper. Barca played the same formation against Dep Coruna(not too sure) and used it because Coruna had ten men behind the ball. They use the 3-4-3/3-5-2 variant sometimes too. Does Henry really have the vision to be as devastating as Bergkamp in the deep role? He played really well in this match and I thought his introduction made the difference. Guardiola was suspended for this match and Tito Vilanova took charge. Does that mean Tito made the decisions or was it Pep from the stands? Anyways, the decision proved game winning. Wenger’s idea with Reyes was that later Henry would drop deeper and Reyes could do what the Frenchamn was doing with Bergkamp – making electrifying runs with his unpredictability and movement. Indeed, for a while, it looked like that tactic was going to work but then Reyes got his head turned and is starting to find some form finally with Atletico while Henry left to be shunted to the left. But while he’s untypical of the role, Henry could be an interesting ploy behind the forward – unorthodox but has good vision. Wenger has always liked a pacy forward and a creative outlet behind him. I think he tried to replicate the same type of combination with Ade and RVP, but it didnt quite work out. That maybe down to the fact that both of them had almost the same function but went about doing it in contrasting ways. Both are brilliant at holding the ball, Ade with his powerful build and physique while RVP with technique and close control. RVP is not that quick and Adebayor was used as a target man. - Central midfield duo consisting of a cultured holding player (Clodoaldo = Busquets) assisted by a playmaker (Gerson = Xavi), the later who occassionally stroll forward to orchestrate attacks. - Left-sided midfielder (Rivelino = Iniesta) was in truth a playmaker who could also dribble and so would constantly move towards goal on slaloming diagonal runs. Starting position was relatively advanced compared to the rest of the midfield. - Second-striker: not so much an advanced playmaker as a supremely visionary striker whose lively movement and build-up play caused havoc (Pele = Messi). Both players started their teens playing as outside-forwards. Here, they play just “off” and “around” the striker as opposed to between him and the midfield. - Main striker: somewhat unorthodox for a No.9, versatile attacker with knowledge of playing all across the attack (Tostao = Henry). 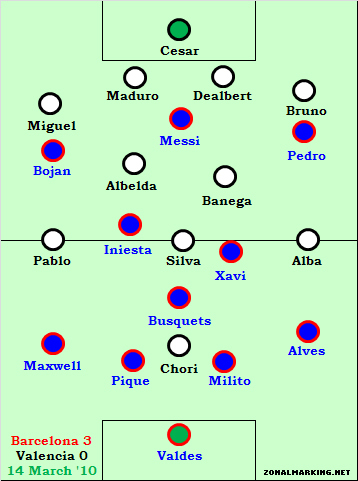 Just picture all those Brazilian players transposed onto ZM´s diagram of Barça (in the second-half) and you more or less get the shape (average position) of that 1970 team. I think his style of play would be different from Bergkamp’s – slightly more of a hold-up player, perhaps, but I can certainly imagine him in that role. Perhaps not at Barca…? Great analysis. Barca were toothless and frustating in the first half (being a cule myself). Valencia were always going to be comfortable with Barca playing infront of them, Bojan, Pedro and Messi never looked to run behind or in between their markers in the first half, this was another factor that changed in the second half we saw more of those diagonal runs that Barca were so good at last year, the passing also became a lot more crisp. Was Pep able to manage the team in the locker room during halftime? Wasn’t sure if suspended managers are allowed to do that. Or was he possibly just giving orders to his assistant via telephone? Although I watch so much football, your analysis proves to me how little I understand the game. Every article you post is a learning point and I find myself coming to your site to see if you’ve posted anything new. Keep up the great work, and please write as often as possible. Great analysis. Love the site and the info. Keep it up! I am a Barca fan, so I am disecting this article bit by bit. I did notice the tactical change when Henry came in. I think that because we have been so adimant about using the 4-3-3, teams have loaded up the midfield to try to out-man us. We also do most of our damage in midfield (thru Iniesta and Xavi keeping possesion and making those triangles), so when we tend to lose the midfield battle, we tend to have crappy games. Also- please post more Barca games. I think Pep is a genius when it comes to tactics. Does not mean he always gets it right, but he seems to always be “tinkering” with his tactical plan. My only knock on him is his late substitutions, because he does not give the sub enough time to get going (which is why I liked the Henry move at halftime). Hopefully a few of Barca’s games before the end of the season will be covered – they haven’t been featured on here as much as they should have been so far! What do you think of this Barcelona football formation: http://www.footballuser.com/15/FC_Barcelona ? Was it Guardiola or his assistant Tito Vilanova that made the changes? It looked like Guardiola, who was suspended for the match, was in the director’s box the entire time. Was he communicating with the sideline somehow? Good point, thanks to the others who mentioned this. I assume Guardiola would have had some kind of contact with the dressing room? Even if it’s explicitly banned, it seems easy to get around it. I also assume that there would have been a pre-determined ‘plan B’ formulated by Guardiola. But yes, top marks to Vilanova here. This is the best football site on the internet. Thousands of fans are learning more and more about the tactical side of the game. This, in turn, deepens our appreciation for the beautiful game we already love. Thanks for the great work! Kudos!! Keep it up!!! Watching the Barca-Stuttgart game on ITV highlights the inadequacies of TV (and some of the rest of the media) when it comes to commenting on a team’s formation. Because Barca have played 4-3-3 for the last few years, ITV assumed that they would line up like that tonight, but they’re definitely playing the “Plan B” system you mention above. People like yourself (or the mighty Jonathan Wilson) should be doing their tactical analysis, because you look past the obvious to see what’s actually happening, as opposed to simply (or lazily) thinking that past trends will continue. Keep up the good work. Loving the depth and the full analysis of the tactics. I’m learning a lot from this site.